What do I know about Iran. Artaxerxes. Mohammad Reza Pahlavi — the Shah of Persia. A couple of Ayatollah. Mahmoud Ahmadinejad. And then, of course, Prince of Persia — the video game I was playing on my first 486, with a 15 inches black-and-orange cathode ray tube. A 2008 documentary by Swedish-Iranian film director Nahid Persson Sarvestani titled The Queen and I. Another, more shocking, movie by the same film maker: a touching document on prostitution, drug addiction and abuse in Iran. The persecution of Kurds. NATO drones spying in the North, and the American carrier USS Lincoln in the Gulf of Aden. A nice friend with whom I loved to play chess. The girl who cut my hair. A recent embargo. The war Iran-Iraq. The country with highest rate of nose jobs in the world. The rights denied to women. A family court, and the Divorce Iranian Style. What else do I know? This is a gallery of pictures that surprised me. 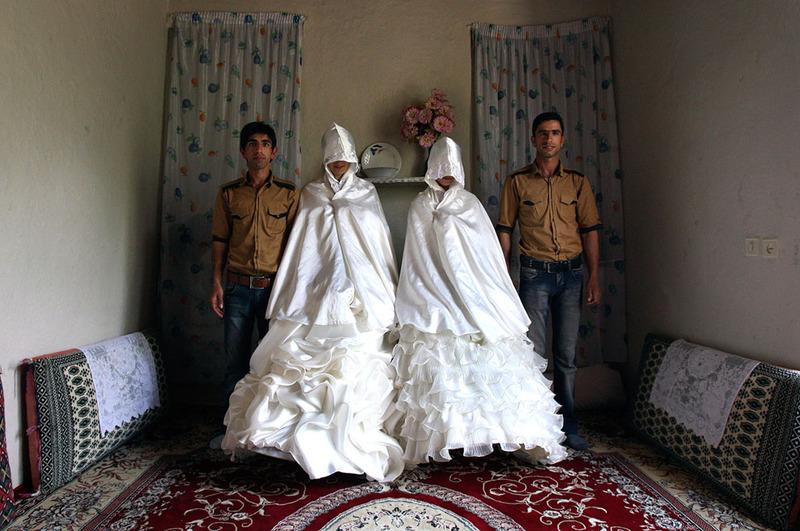 — In the picture above, two brothers pose for photographs with their brides, wearing their formal wedding dresses prior to the celebrations in Ghalehsar village, about 220 mi (360 km) northeast of the capital Tehran. How little I know, about Iran. 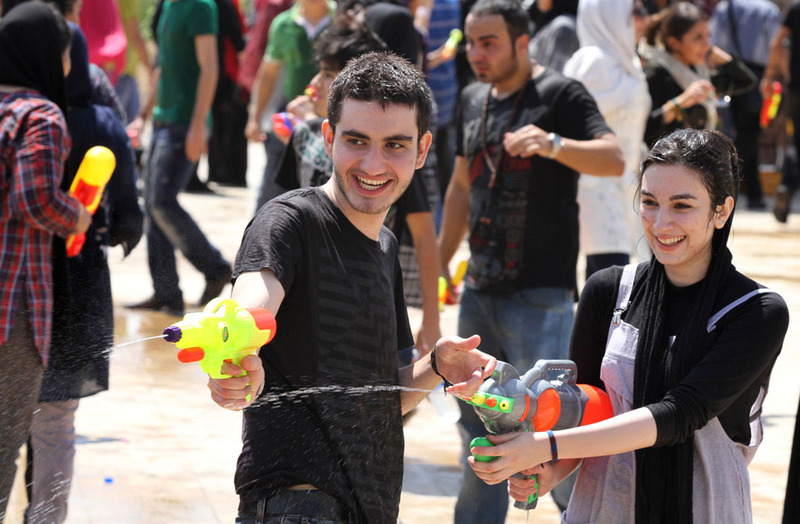 In the picture below, Iranian youths shoot water at each other with water guns, during water fights at the Water and Fire Park in northern Tehran, on July 29, 2011. During the summer, Iran was trying to put down a new wave of civil disobedience – flash mobs of young people who broke into boisterous fights with water guns in public parks. Dozens of water fighters were arrested and a top judiciary official warned that counter-revolutionaries were behind them. (Credits: AP Photo/Milad Beheshti). More pictures and most of the credits on The Atlantic.